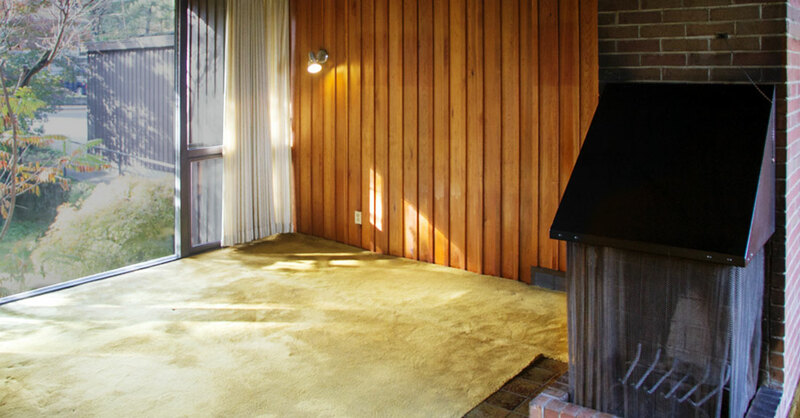 Contemporary houses were often designed by architects, in contrast to the more common Ranch-style homes of the era. Roofs typically have a low pitch and may include gable, shed, or flat roofs – or more expressionistic roof forms. Common characteristics include an emphasis on asymmetrical two-and three-dimensional compositions and an expansive use of glass, contrasted with clerestories above solid walls where privacy was important. 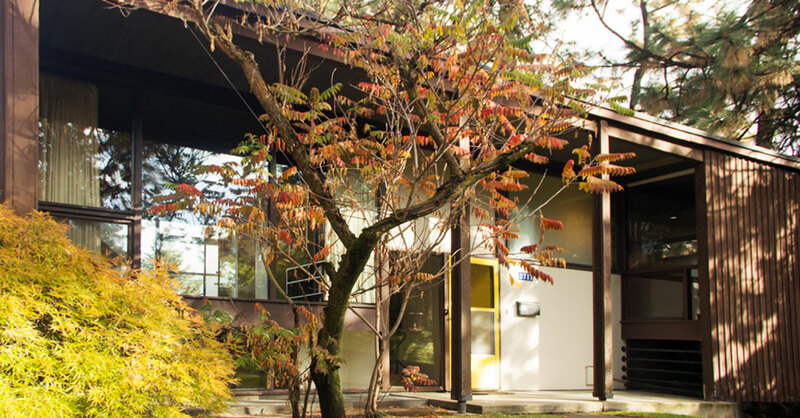 Features shared with the Ranch-style house include an open floor plan, an orientation toward the rear yard, and the use of windows, courtyards, and other devices to “bring the outdoors in.” Natural materials such as stained wood, brick, and stone is common. 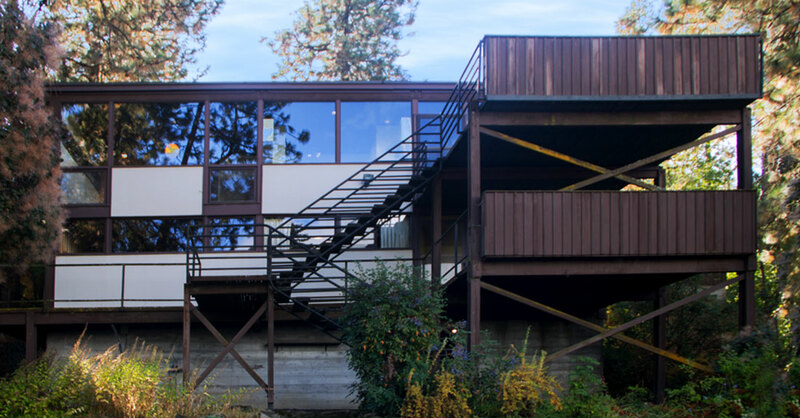 One important way the Cornelius house differs from the typical post-war Contemporary house is its expanses of glass on both the front and rear facades. 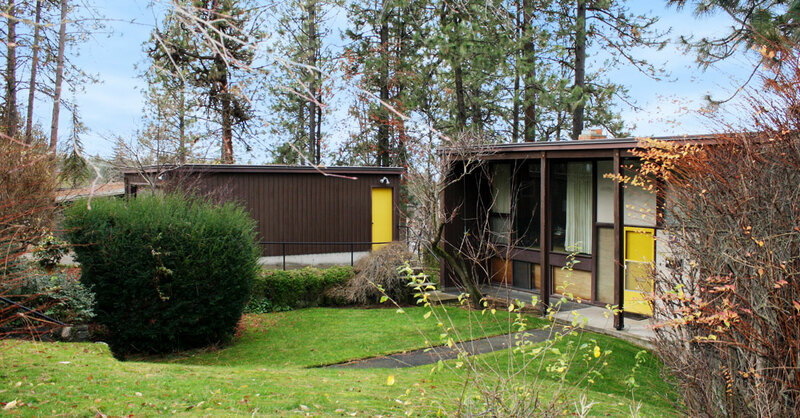 Architects Royal A. McClure (1917-2006) and Thomas R. Adkison (1917-1986) established their Spokane firm in 1947. 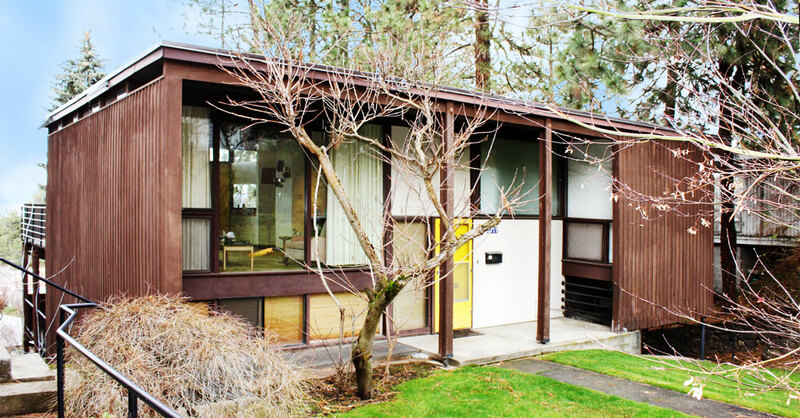 Following graduation from the University of Washington in 194, both went on to work for Seattle architect J. Lister Holmes, who was perhaps best known in the early 1940s as the chief architect for Seattle’s 878-unit Yesler Terrace Defense Housing project. 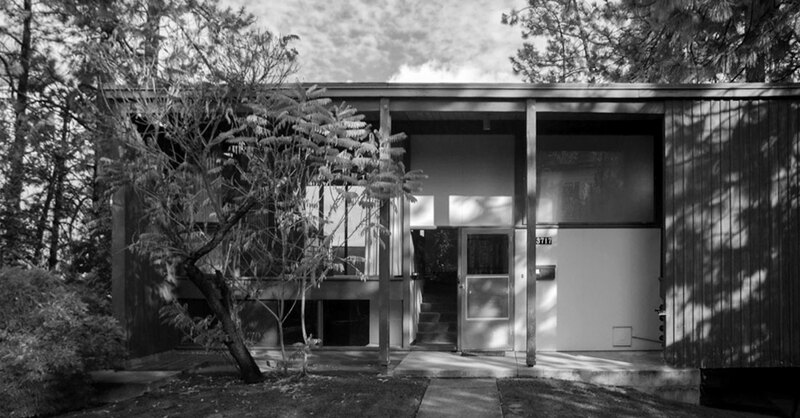 McClure & Adkison’s work was widely published in many prestigious architectural publications of the day, including Architectural Forum, Arts + Architecture, and Progressive Architecture. From 1947 to 1966 they practiced throughout the state, designing schools, hospitals, clinics, and churches, particularly in the Spokane area and eastern Washington. One of their most highly visible commissions was the design of Spokane’s U.S. Court House and Federal Building, for which they teamed up with Culler, Gale, Martell, Norrie & Davis, and Walker & McGough.